Shōdo Island (小豆島, Shōdoshima) is an island located in the Inland Sea of Japan. The name means literally "Island of Small Beans". There are two towns on the island: Tonoshō and Shōdoshima, comprising the district of Shōzu.The island is famous as the setting for the novel Twenty-Four Eyes, and its subsequent film adaptations. 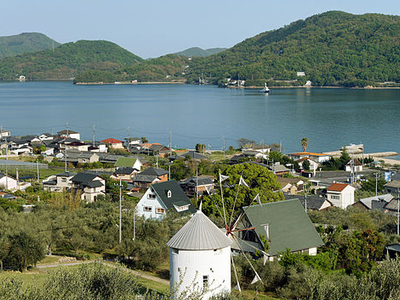 The island was the first area of Japan to successfully grow olives, and is sometimes known as "Olive Island". 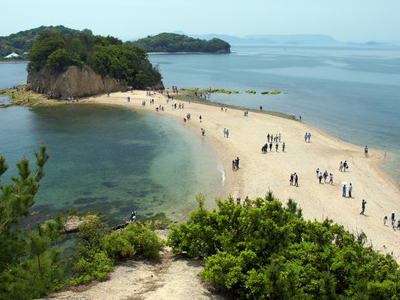 Shōdoshima is part of Kagawa Prefecture and is located north of the prefectural capital Takamatsu. It has an area of 153.30 km sq (59.19 sq mi) and a coastline of 126 km (78 mi). 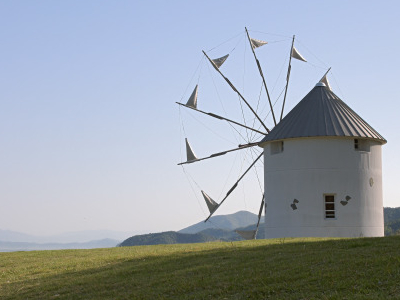 It is the 19th largest island in Japan, and the second largest in the Inland Sea. Shōdoshima is a popular destination for domestic tourism in Japan. In addition to natural features such as the Dobuchi Strait, the Angel Road, Shōdoshima Olive Park and the Kanka Gorge.Shōdoshima is also known for its olives, soy sauce, wild monkeys, and beaches. In addition, tourists are attracted to a miniature version of the 88-temple Shikoku Pilgrimage. Here's the our members favorite photos of "Islands in Shikoku". Upload your photo of Shōdo Island! Get in touch with 2 Touristlink members who want to visit Shōdo Island or with Swapneel Waghmare who already have been here.